One of my favourite things about being a parent is the chance to explore toys the second time around. I’m a huge advocate of learning through play and I love to see my children enjoy toys that I also played with. 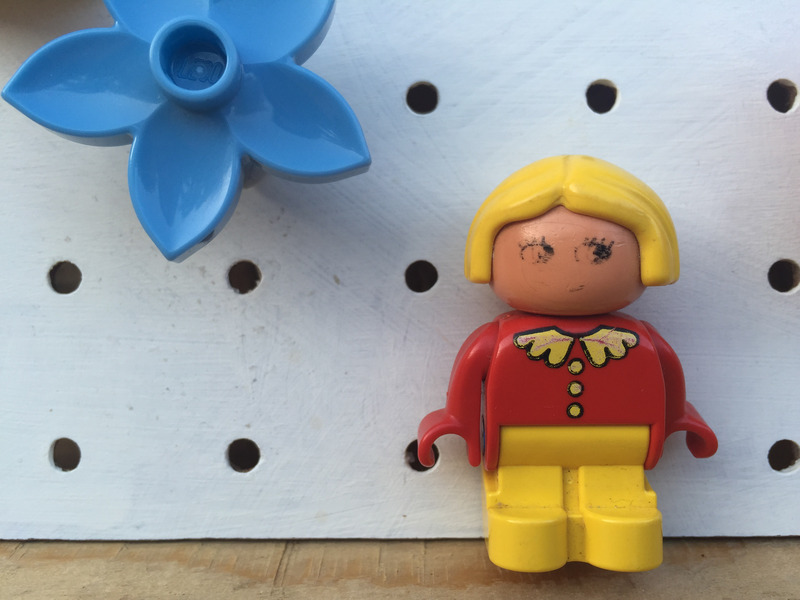 Some toys are classics like Lego and Playmobil and I love to plan how I can use these toys when my children no longer want them. 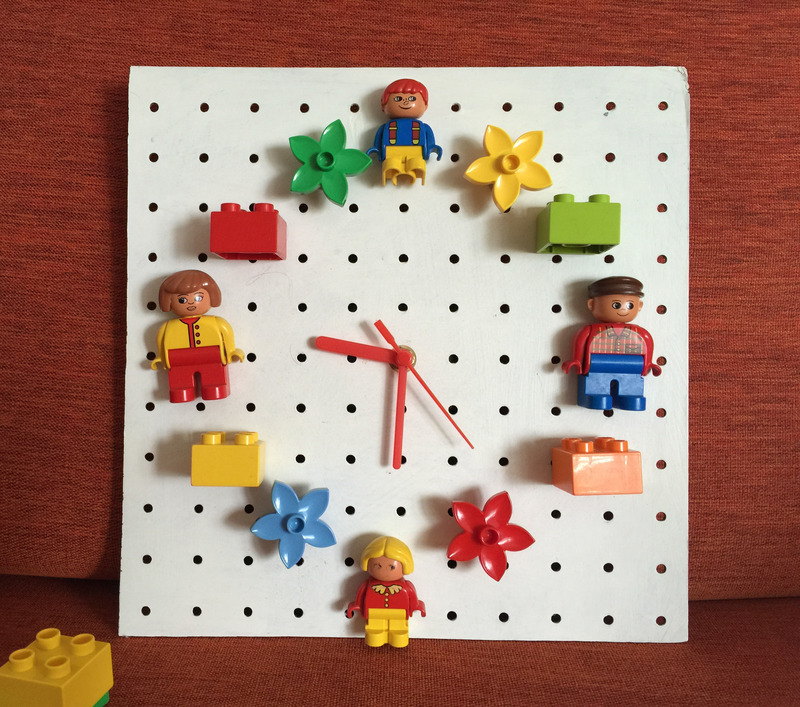 Over the weekend I experimented with a few spare Lego Duplo blocks to create a colourful Lego Duplo clock, similar to the Playmobil clock I made a few years ago. First pick your Lego pieces. 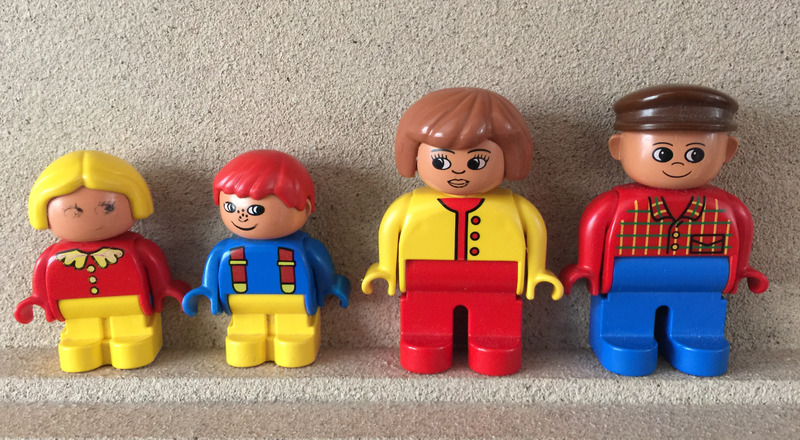 I got the children to choose their favourite Lego characters and they selected a mum, dad, boy and girl figure so we could make a Lego version of our own family. 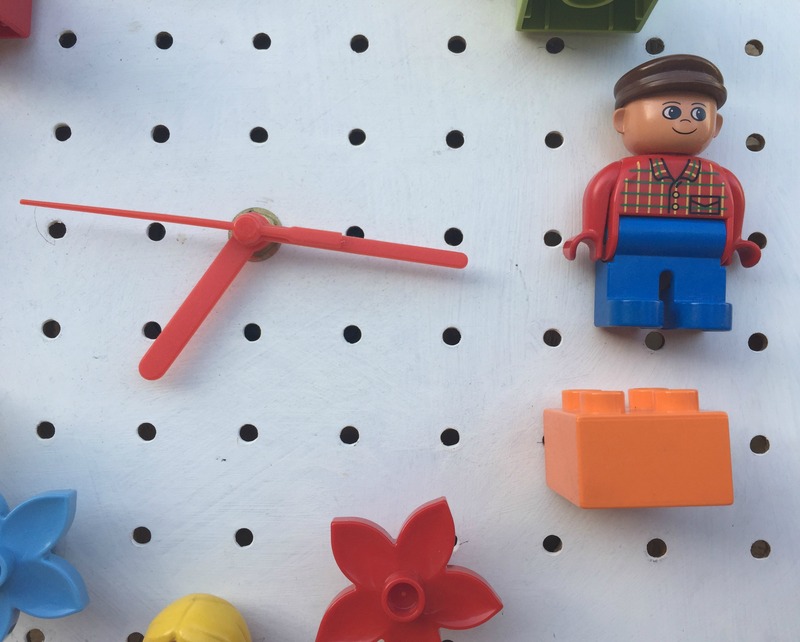 The peg board wasn’t large enough to accommodate 12 Lego figures so instead we looked for other Lego pieces, such as animals, flames or equipment – anything we had at least 4 of. Eventually we settled on a selection of bricks and flowers. We played around with the different pieces until we were happy with the layout. Then I used a hot glue gun to fix each piece in place. I left the glue to dry overnight and added the clock mechanism. 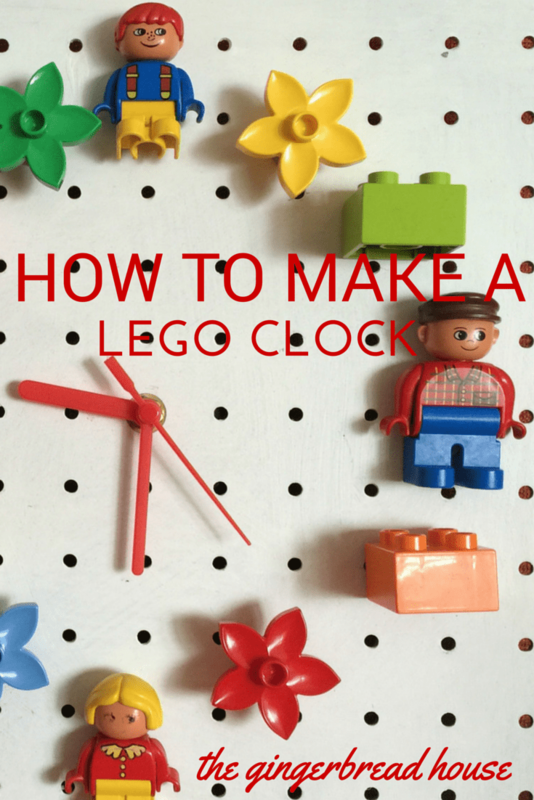 This is a simple clock but a great addition to a children’s room. It’s bright and colourful and a lovely way to upcycle toys. This is such a cool idea for a clock in a child’s bedroom! Great post! This is such a cute idea! It would make a lovely activity for children to do. OMG! I love this – Hayden would too. Genius idea & very creative. Such a great idea, looks brilliant! This is a really unique idea! I love it. I want one – lol! Don’t know if my son would part with any of his lego to DO this though…we’d probably have to buy new pieces! I’ll show him the picture and see what he says! My son is 5 and he was happy to choose which bits he could spare 🙂 I think he is used to me and my crazy ideas….